Japan Anti-Doping Organization Certified Sports pharmacist. 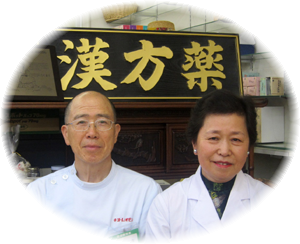 Certified by the Chinese government, Chinese Medicine A grade specialist. Graduated from Tokyo University of Pharmacy and Life Sciences. I had a short-term training at Beijing Medical Clinic. 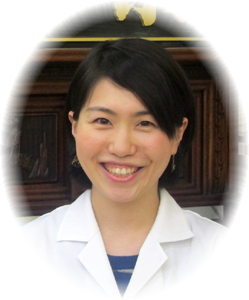 I learned clinical practice at the TCM specialty pharmacy in Tokyo. I am from Tama-City TOKYO. Hello !! My name is Takuma Yamamoto. I was doing Gymnastics when I was a high school student.I like to move my body. Hakuba is the best place to enjoy sports in full swing. We are consulting with mental health problems, doping prevention, health advice center for athletes. I am consulting mainly about men’s health, anti-doping, health advice for athletes. Graduated from Kyoto Pharmaceutical University. I worked at a dispensing pharmacy in Osaka.I had a short-term training at Beijing Medical Clinic.I learned clinical practice at the TCM specialty pharmacy. I am from Hakuba-mura, Nagano. Hello !! My name is Mineri Yamamoto. I am from Hakuba-mura but Since I was in Osaka for a long time, it is a Kansai dialect from time to time. I am receiving general Kampo counseling centered on consultation of obstetrics and gynecology and dermatology departments. If you have unpleasant symptoms please feel free to contact us. 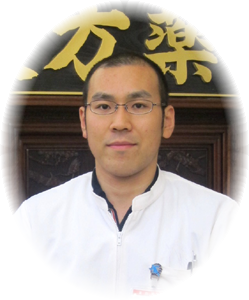 ・The director of Taihoku Pharmacist Association. ・Graduated from Kyoto Pharmaceutical University. Hello !! My name is Haruo Ohta. It is time to cure when you feel “something different”. Fine is the best!! OHTA PHARMACY!! Our shop has been used by local people for 60 years. I sincerely thank you. I look forward to working with you. Hello !! My name is Michiyo Ohta. It has been 30 years since I lived in Hakuba. I listen to your consultation properly and I am striving to provide you with convincing support.